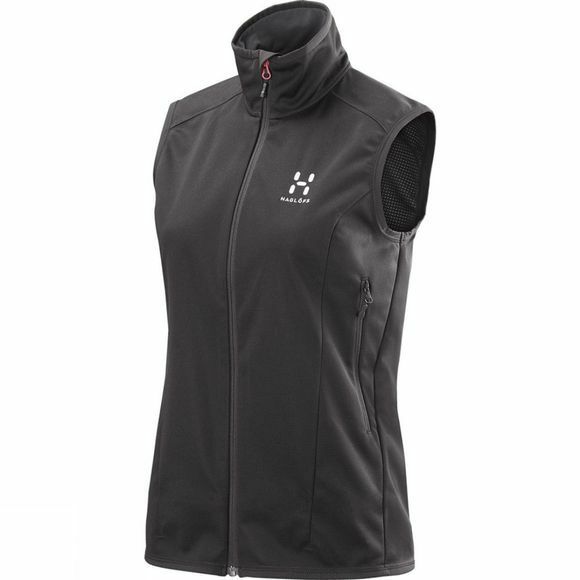 The Women's Mistral Vest from Haglöfs is a wind and water-repellent ergonomic softshell with outstanding functionality. Made frm Windstopper, the vest balances protection and breathability, and it is Bluesign approved. Functional features include two mid-mounted pockets that are pack and harness compatible and elastic piping in the hem and cuffs that keep the jacket in place while moving.